The 12 Best Scary Christmas Movies to Put the Horror in Your Holidays! Happy holidays, horror lovers! That's right, the judgmental fat man is coming once again to terrorize homes and subjugate innocent reindeer into magical slave labor... Let's hope you've been good little boys and girls! In the meantime, here are the 12 best scary movies to get you into the spooky holiday spirit. If you were thinking of watching the 2004 remake, allow me to gently redirect you to the older, better original. It's way more suspenseful and state-of-the-art. If you are a fan of slasher films, you pretty much have to see Black Christmas; it's one of the best and first of the genre. Cozy up with a snack and enjoy watching sorority girls poked and prodded with knives, neatly wrapped up in director Bob Clark's incredibly eerie and unsettling ambiance. This may be a "best of" list, but we couldn't possibly exclude one particular film that is so ferociously bad that it's almost enjoyable. Please don't watch this film un-ironically and expect to have a good time. It's about a genetically mutated killer snowman, for God's sake. Expect to see some painfully bad acting, bad effects, and total "womp womp" humor from crazy Jack himself. It's worth a watch if you're in the mood for a chuckle, or if you have an inexplainable desire to see someone get impaled with an icicle. A man inherits a mansion that used to be an insane asylum. As far as lavish inheritances go, our protagonist is sh*t out of luck, mainly because this mansion happens to have a psychotic killer in it. Fun fact: As you will learn in this eerie movie, it was apparently possible to purchase a mansion for $50 grand in 1972. That said, we're guessing a lurking, homicidal maniac does make somewhat of a dent in property value. 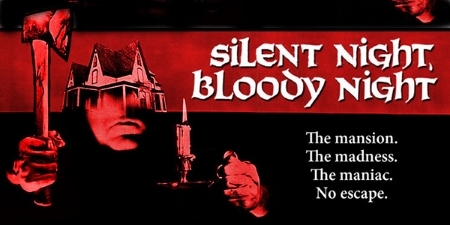 This one is a 2012 remake of a 1984 movie called Silent Night, Deadly Night (due to Hollywood's complete lack of originality, these titles may start to get confusing. Bear with us.) A remote midwestern town is terrorized by a killer santa. He's made his list, he's checked it twice, and he's axing people to death on Christmas Eve. Because the bozos who live in this town also enjoy parading around dressed as Santa, our killer is pretty much able to hide in plain sight. Let this be a cautionary tale to all ye bros: This is what could happen if Santa Con continues to be a thing. A business woman tries to make it home for Christmas Eve but instead finds herself locked in a parking garage with a psychotic, lovesick security guard. We're just happy that Wes Bentley finally landed himself a post-American Beauty role that is actually deserving of his creepiness. An intelligent mix of psychological thrills and good old bloody action, P2 is a holiday must for horror fans. 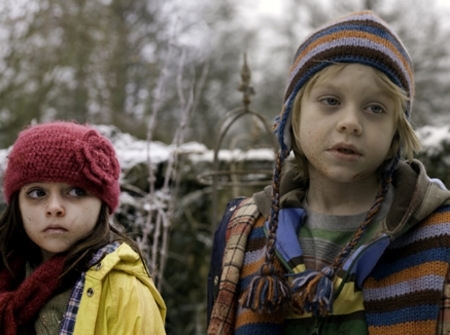 The Children is a charming little film about murderous children who mysteriously get sick on Christmas and go coo coo bananas on their parents. Watch in horror/glee as a "relaxing Christmas vacation" turns into a total bloodbath. There's something scarily satisfying about watching these little tykes get all slicey dicey. Joan Collins plays a disgruntled housewife that kills her husband on Christmas Eve. She gets a frosty bite from Christmas karma as a homicidal maniac in a Santa suit has his bloody way with her. The subsequent TV show with the same name was slightly gorier and, admittedly, a touch funnier. But the original anthology film is a total classic. This Canadian import is a witty, blood-smattered ode to Christmas iconography through the lens of various interwoven narratives, all told by festive radio host Dangerous Dan (portrayed by William Shatner). This one has everything a holiday horror film should have: Krampus, a lumbering but lethal Santa Claus, and freaky little zombie elves. Last year's highly anticipated release of Krampus didn't quite go off with the expected bang, but it's still worth a watch thanks to expert performances from the all-star cast and truly nightmarish visions of otherwise lovable Christmas characters (gingerbread cookies will never be the same). We like that it doesn't take itself too seriously, with just enough dark humor to make light of this sinister folk legend. Have you watched any of these films? If so, which one is your favorite? Let us know in the comment section below!